While a vaginal delivery is often the goal for most mothers-to-be, there are a few scenarios where that just isn’t possible. Sometimes this only becomes obvious in labor, when a baby is not fitting through the birth canal or his heart rate shows that he is in distress can needs to be delivered sooner rather than later. However, there are some cases where It becomes obvious during the course of the pregnancy that a scheduled C-section will be the necessary birth plan, and a vaginal delivery should not even be attempted. Here are a few situations where your doctor or midwife will recommend planning for a C-section. Having a placenta previa or vasa previa. This is when the placenta or umbilical cord covers the cervix, essentially blocked the way out for the baby or making it so unsafe for labor to be tried (as this could lead to massive hemorrhage or death during labor). While most scheduled C-sections are done at 39 weeks gestation to allow for the full development of the baby, in these cases this is often done a few weeks prior to that because the risk of labor is too high. Having a placenta accreta. A placenta accreta is when the placenta attaches abnormally to the uterus. The placenta normally detaches a few minutes after you give birth, but in with an accreta it remains stuck and can lead to life-threatening hemorrhage. For women who have a known accreta during their pregnancy (and not all can be diagnosed prior to giving birth), the plan is often delivery by C-section followed by a hysterectomy. This is usually done all at the same time, but in some very special cases may be done as a separate surgical procedure. A history of a prior C-section. It is true that women who have delivered by C-section before can opt to do so again in their future pregnancies. This is called a repeat C-section. However, for a good number of women, trying for a vaginal birth after cesarean (or VBAC) is a perfectly viable option. It is very important if you have a history of a C-section that you understand the risks and benefits of both types of delivery so you can pick the option that is best for you and your baby. When your baby is not head down. If your baby is anything but head down, opting for a planned C-section is certainly an appropriate choice. However, it is also good to know that this doesn’t have to be your only option. Attempting an external cephalic version, or a procedure where your doctor tries to flip your baby into the head down position, is one way you can avoid a surgical birth. Be sure to discuss this with your doctor or midwife to see if it might be something you can try. When you are pregnant with multiples. Not all pregnant mamas of twins need to deliver by C-section, but there are some situations where that would be recommended. If the first baby is not head down, you are delivering very preterm, the size of the first baby is very small or the second baby very big, or if your doctor isn’t comfortable with vaginal twin births, then a C-section will be recommended. And when it comes to being pregnant with triplets (or more! ), very nearly all doctors will recommend a scheduled C-section. If you have a medical condition that makes labor unsafe for you. There are certain medical conditions where labor would be considered dangerous for a pregnant woman. Thankfully these are rare, but they can include certain heart or lung conditions among others. If you have HIV or genital herpes with an active outbreak. For women who are infected with HIV or who have genital herpes with an active outbreak at the time of labor, delivery by a planned C-section has been shown to drastically decrease the chance that either of these viruses will be passed on to the baby. If your baby is too big. The definition of a baby being “too big” to be able to deliver vaginally is not a casual one made off of the size of your baby bump or how much weight you’ve gained during your pregnancy. Rather, determining if you baby is truly macrosomic (the medical term for “too big”) comes from estimating the size of your baby using ultrasound. Your doctor will usually recommend a scheduled C-section if your baby is estimated to be more than 4500 grams if you have diabetes, or 5000 grams if you do not. You can read more about why this matters here. If you have a history of certain birth complications. Certain complications such as the prior history of a shoulder dystocia or having a fourth-degree tear can be reasons why a planned C-section is reasonable. However, this should be individualized and involve a good conversation with your doctor or midwife. 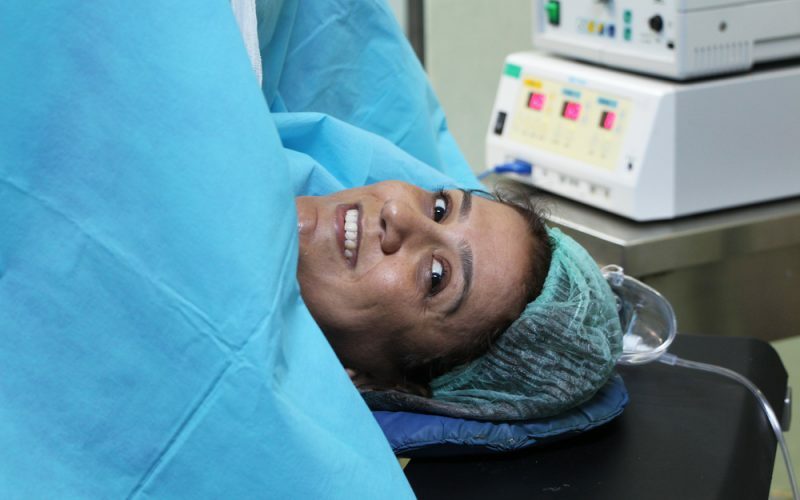 For some women, the need to deliver by C-section is identified during her pregnancy. Certain placental complications make laboring too risky. Always be sure to have a thorough conversation with your doctor or midwife about why a C-section may be necessary. The American College of Obstetricians and Gynecologists. FAQ #6: Cesarean birth. The American College of Obstetricians and Gynecologists. Practice Bulletin #169: Multifetal gestations. October 2016. The American College of Obstetricians and Gynecologists. Practice Bulletin #173: Fetal macrosomia. November 2016.